In recognition of your military service to the United States of America, The University of Arkansas at Little Rock honors your service and your graduation by providing for you to wear red, white, and blue Military Honor Cords as a part of your regalia during your commencement ceremony. Every military student wearing the Military Honor Cords will also be presented with our Trojan Troop Coin. 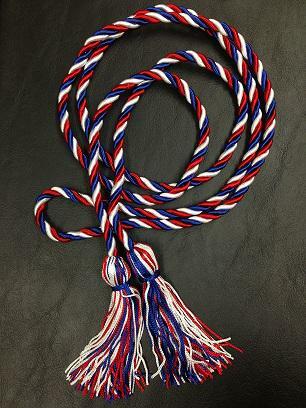 If you qualify to participate in graduation (see commencement participation requirements) and are an honorably discharged U.S. veteran or are currently serving in the U.S. military on active duty (Active Duty, National Guard, or Reserves), you are authorized to wear Military Honor Cords. Cords may be picked up at the Military Student Success Center, Speech Building, room 111. 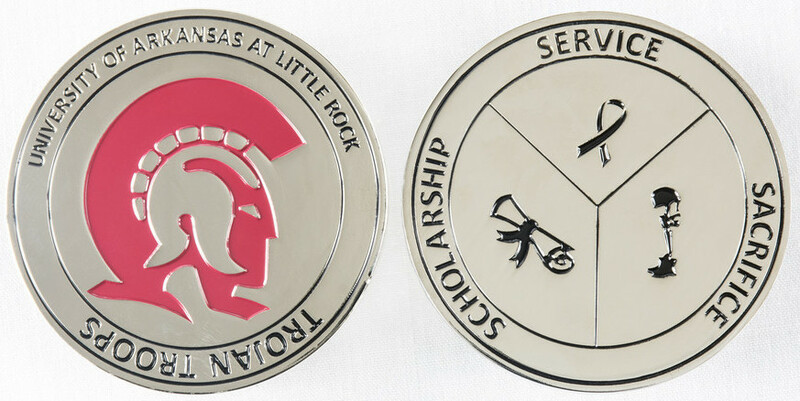 The cords and coins are provided to you at no cost by the UA Little Rock Veteran Student organization SAM. If you wish to honor someone with a Trojan Troop Coin, they may be purchased from any member of the SAM executive team for $10. Proceeds go to the establishment of scholarships for military students.